Being a frequent traveler and a tragically early adopter of gadgets, I looked with interest to the iPad’s launch. The idea of taking a small, light, and fast device on business trips instead of my 3 year old heavy macbook pro was a no brainer. I just completed my first iPad-only business trip, and I can honestly declare the iPad a success as a laptop replacement for me. 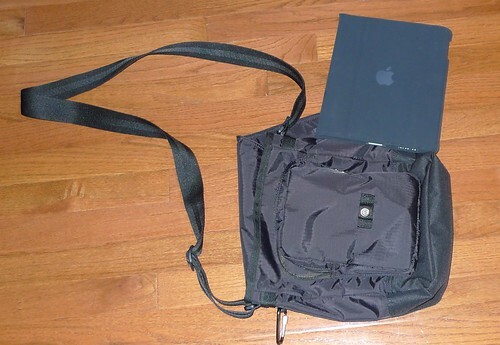 But I had another problem, my ECD briefcase is a large Tom Bihn affair (which I love) but is far to big for the iPad. 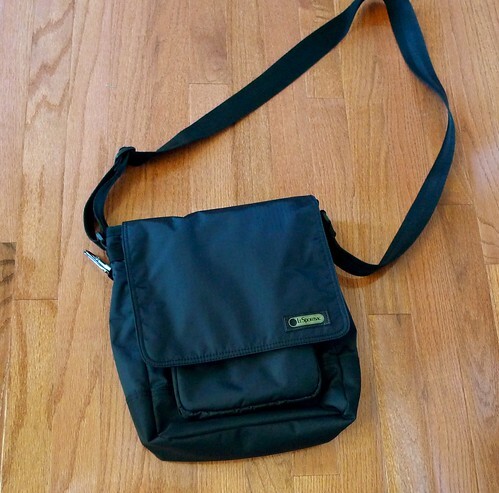 So I had to look around for options on small bags for a device that did not have many tailor made solutions on the market yet. 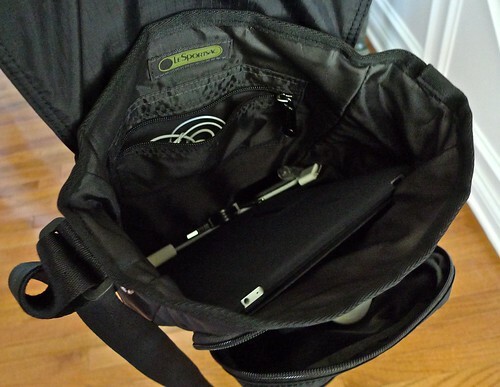 Its good, nice price, decent padding, lightweight, some pockets for extraneous stuff. wears well crossbody or off the shoulder. Here are some shots for relative size. But those are pretty minor. So for now, this is my new iPad friendly minimalist briefcase.